Did you know that carrots, thanks to their macro- and microelements, enzymes, vitamins and other active ingredients, can do an excellent job in taking care of your skin, in particular, your face? For example, your skin can benefit greatly from carrot juice. Let’s see what else there is to this vegetable. Clean 3 carrots, finely grate them and extract the juice. 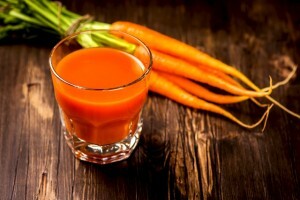 If you’re trying to get rid of dark spots, gently massage the carrot juice into your skin in the mornings and evenings. 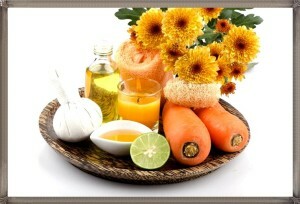 If you have sensitive skin, use the said carrot juice to massage your face gently twice a week. This will refresh and rejuvenate your skin. You can follow the same steps if you have dry or oily skin. After you finely chop a carrot you’ll end up with a purée. Apply it to your face and neck area, and cover with a cloth. Let it sit for 20 minutes, and rinse with lukewarm water. The next step is to apply a nourishing cream of your choice. This mask is great for problematic skin although you can also use it for all skin types. Grate two carrots and extract the juice. Add half of egg yolk and half of teaspoon of olive oil. Mix well and apply to your face, previously cleaned, of course, making sure you avoid the area around the eyes. Rinse with lukewarm water after 15 minutes. 1. Take a carrot and finely grate it. Add 2 tablespoons of cornstarch and an egg. Put the mixture on your previously cleaned skin in an equally spread layer, and let it sit for 20 minutes. Rinse first with lukewarm water, and then with cold water. Repeat as many times as you want. 2. You need 2-3 fresh carrots and 5 teaspoons of honey. Cook the carrots and purée it. Following that add honey to the mixture. Apply the mask to your face and leave it there for 15 minutes, and then rinse with cold water. 3. Finely grate a carrot. Whisk an egg white and add it to the carrot together with a tablespoon of powdered milk. Apply to your face and let it sit for 20 minutes. Rinse with lukewarm water. So instead of using all those beauty products you keep seeing on TV, take some time out of your busy schedule to relax and treat yourself with beauty treatments our moms and grandmas were more than familiar with. These will not only feed your body, but also your mind and soul. Get rid of cellulite with coffee!